The STAR model is ubiquitous. Almost every application form and interview presentation contains the acronym: Situation, Task, Actions, Result. Some graduate recruiters even instruct candidates to follow this model in their application form answers. It’s tried and tested…and I don’t like it. Don’t get me wrong. 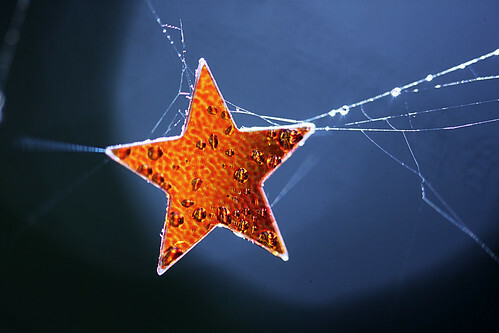 I would rather that a candidate uses STAR than nothing. Any structure is better than no structure. But I’m not sure that STAR is the best possible structure. Partly, I will admit, I am just being awkward and iconoclastic (I impressed myself with that word!). I have a default tendency to question and challenge anything that is well established and widely accepted without criticism. However, I do have a couple of reasons, one pragmatic and one theoretical, why I think STAR isn’t the best possible model to be recommending. I have lost count of the number of selection interviews I have conducted over the years, both practice and real. One of the most consistent flaws for many candidates is that they spend too much time waffling at the beginning of their answers, giving convoluted explanations of the situation and vast amounts of unnecessary detail in an attempt to avoid talking about themselves. This places a large cognitive load on me as the interviewer. I have to keep all these facts in my head whilst waiting for the story to begin. It is only then that I can work out if these details are useful or relevant in helping me to evaluate the candidate. I have already talked about the magical number seven plus or minus two — the limit to the number of items we can store in our working memory. This applies to interviewers too. The problem with STAR is that it dedicates two elements (Situation and Task) to this preamble section. Half of the model is devoted to something which should only take up a small part of your answer. On Twitter, I got involved in a discussion about the effectiveness of interviews between @TheFactoryPod and @AvidCareerist. One topic raised was the link between interviews and fundamental attribution error. This is a cognitive bias in which you are more likely to attribute a person’s observed behaviour to something intrinsic about them (personality, mood, values, etc.) and less likely to take into account external causes (recent history, circumstances, external constraints, etc.). A classic demonstration of FAE involves making a student write an essay in favour of a particular position on a controversial or politically-charged topic (e.g. pro-abortion, anti-welfare spending). People who read the resulting essay are inclined to assume that the student’s personal views are in line with the arguments presented, even if they are told that the student didn’t have a choice in which side to present. When we lack information, rather than acknowledging the lack, we try to fill in the gaps with information we do have. This is a danger for inexperienced interviewers when discussing the candidate’s positive achievements. If a candidate talks about a successful project they have worked on, FAE will often lead you to assume that the success was solely-dependent on the qualities of the candidate and you might ignore the influence of external factors, such as luck. There is an equivalent danger for the candidate when forced to discuss failures, difficulties and setbacks. The interviewer is likely to give less weight to the influence of external circumstances. This problem is less likely to occur if there is a more structured selection process in which the interviewers have to account for their recruitment decisions. Research by Tetlock (1985) has shown that if people know that they will have to account for their opinions of someone, they are more likely to consider the external as well as the internal causes of someone’s behaviour. In the example above, people who were told beforehand that they would have to justify their conclusions about the essay writer were much less likely to assume that the views expressed were those of the student when they were informed that the student had no choice in which side to take. Consensus information: How successful would other people be in a similar situation? Distinctiveness information: How successful would this candidate’s actions be in different situations? Consistency information: How successful has the candidate been in similar situations in the past or subsequently? If you want to impress an experienced interviewer, just talking about your Actions and the Result will not be enough. If you just describe what you did, I don’t know whether your actions have arisen from conscious decision making or as an automatic response to external conditions. I don’t know whether the result came about because of your actions or just the prevailing circumstances. One way to give the interviewer missing information is to talk about your thinking as well as your actions. This way you are demonstrating that your actions are a result of your reasoning rather than external factors. The other thing you can do is to show that this isn’t a one-off by talking about how you have taken learning from this situation and applied it to other situations. So… a replacement for STAR… how about BARER (your evidence is more exposed!)? I don’t think it’s perfect, but I think it’s better. Any suggestions? This entry was posted on 7 December 2010, 18:00 and is filed under Career success, Employability, Skills and methods. You can follow any responses to this entry through RSS 2.0. You can skip to the end and leave a response. Pinging is currently not allowed. This feels a bit like a confession to a self help group, but I have to admit I hate STAR. It has it’s uses, but it often leads to very stilted and overprepared answers which can make applicants seem somehow less genuine. This is not just my opinion. When Ernst and Young did a talk recently about their new strengths based interviewing, they flagged this up as an issue with competency based interviewing when students had prepared using the STAR technique. I try and get the message across to think about the skills the question is focussed on and not to waffle on about the situation and try not to force them into sticking rigidly to a STAR format. To combat the issue of over emphasising the beginning (why have Situation as well as Task? ), I have changed recently to using CAR (circumstances, action, result). or CARE (same but with evaluation at the end). CARE has the benefit over BARER as it has one fewer letters to remember! I am of the opinion that since all students are different, some will benefit from using a STAR / CARE approach to frame their answers and others will not. So I don’t have a blanket approach. I’m not really advocating that we use one particular acronym, just that we think about what we use and add value to it. I know that you do that anyway Vinny. Play up, play the game – whichever acronym you use you need to play the game. STAR may not be perfect but at least it does have the effect of focusing the student’s mind on what the component parts of a good interview answer should be. I will confess to using STAR with my students and even CAR but I always accompany any mention with a careful walk-through of what I’m (and the interviewer) will be looking for them to do, i.e. provide clear evidence of situations where they have demonstrated a particular competency. I do stress that it provides a mental checklist and a logical structure to ensure that they are covering the essentials. I would see strength based interviews as yet another variation of the recruitment game and just another approach that we will have to be aware of when helping our students to prepare for the great game beyond graduation (sorry, I watched some of the classic kipling tale ‘Kim’ over the weekend and couldn’t resist a reference). As a new poster I’m liking the blog David. Thanks for the comment…keep them coming. I have come across people in the past who use STAR in a very mechanistic way and I was aiming the article at them. It sounds like you apply it more thoughtfully. I’m with Vinny on using CARE. I’ve never used STAR because I myself get confused over what exactly is the split between situation and task and as it’s not an exact science it’s tricky to define and make easy for students to remember these two indistinct sections. I started my Careers Adivser life with CAR, moved onto CARE and I must say that 4 sections is probably as much as a bear of little brain can hold, so I’m an advocate of all things 4 lettered!! Goals – what our purpose is and what we are endeavouring to achieve. Innovation – what advances or adaptations are used to either increase the reward or reduce the effort, plus how the goals can be improved or developed. Regulation – sits at the hub of the circle/wheel analysing feedback from the other 4 elements to ensure they stay in balance and they are not out of sync (includes too much reward with not enough effort such as the recent banking industry or the dot com bubble). This can be used to explain any thing we do in life. Not sure how it could be applied to an interview, but would be interested in your thoughts. Not 4 letters as Abi needs but could be known as GERRI or GERIR.